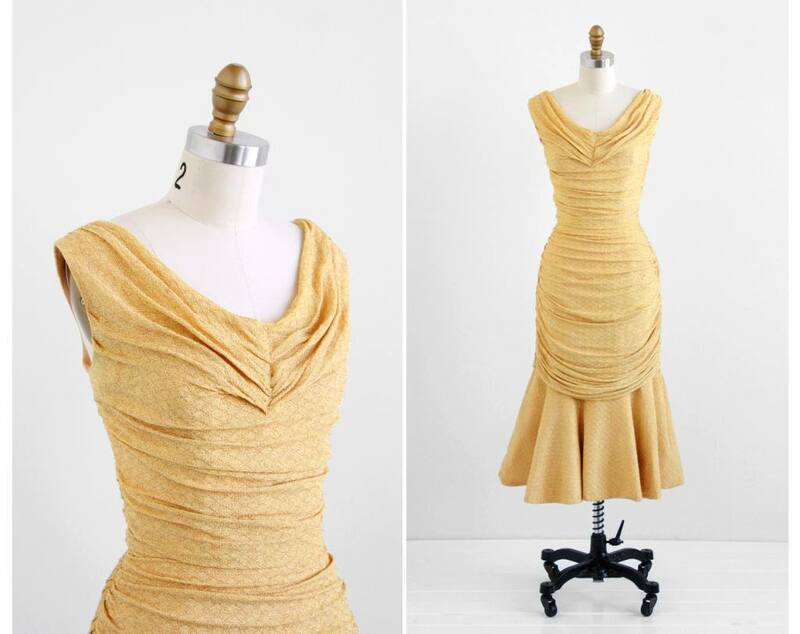 This gorgeous vintage dress shows a number of principles that are great for flattering your Cello silhouette. A wide V neckline flatters your shoulders and reduces the size of your bosom. Gathering all down the body helps to cover tummy bumps whilst elongating your short waist. The clever draping of an overskirt above a more structured underskirt helps to disguise the vastness of your thighs whilst creating a feminine sense of flowing movement as you walk. A subtle pattern in the fabric goes further towards softening the solidity of your Cello shape. Your outfit can be simply finished with chunky wedge sandals and a pair of knockout chandelier earrings. Look for these style elements when choosing a dress and you won’t go far wrong. If you don’t believe us, here is a photo of the Queen of all Cellos, Oprah Winfrey, wearing one of her all-time favourite dresses by Vera Wang. Have you found the perfect dress for your Cello body shape? Tell us about it. To learn all about how to analyse and dress your body shape, read our book The Body Shape Bible. This entry was posted in Body Shapes and tagged big bust, broad shoulders, cello body shape, gold dress, large thighs, Oprah Winfrey, short waist, style how to, Trinny and Susannah body shapes, Vera Wang, vintage dress. Bookmark the permalink. “Softening the solidity of your cello shape” – haha, you really know how to put it. ‘Cause if you don’t take care to do so, it may seem immensely square or even cubic! I’m confused about my body shape. I am a very similar shape to Susannah which should make me a vase but I am only 5 foot 3 . Are vases ever short? On another note, I love your site. Your posts are great!